imagine my surprise when i opened a package last week from deknit. 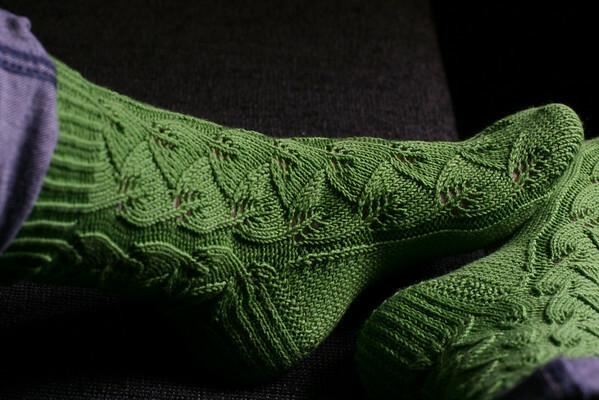 she had been my houseguest the week before during a geek event, and i had (half-jokingly) mentioned that she could leave the stunning embossed leaves socks she was knitting at my place. she gifted me the socks! thank you so much ms. deknit, they are gorgeous and perfect for warm weather. though today it is raining, i wore them yesterday — they were quite comfortable in the heat. the socks she knit and gave to me are made with lana grossa meilenweit, a cotton/poly/wool blend. i’ve knit with this yarn before and thoroughly enjoyed it. it’s cottony but with enough give that it doesn’t kill your hands. i think i have some in teal blue in my stash that is calling my name for some summer knitting. thanks again ms. deknit for spoiling me! come and visit me anytime! 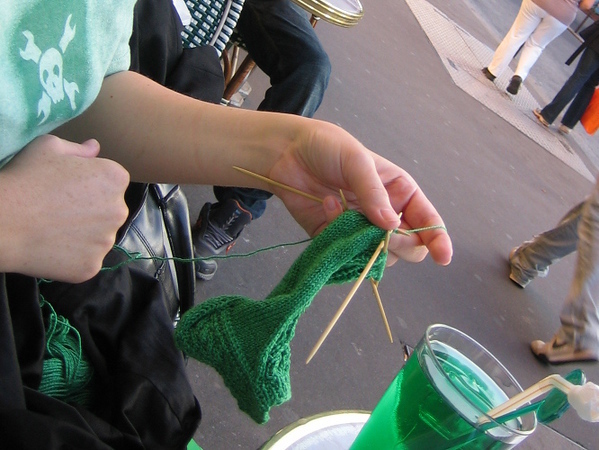 This entry was posted	on Friday, June 13th, 2008 at 06:22	and is filed under knit. You can follow any responses to this entry through the RSS 2.0 feed. You can leave a response, or trackback from your own site.